The commercial value of stones depends on several qualities such as strength, resilience, outer appearance, solidity, weight, density, fineness of grain, amenability to dressing, porosity and absorption. 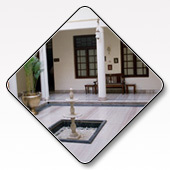 The term stone and rock are synonymous to each other. 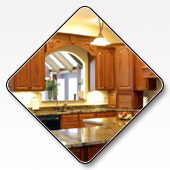 The only difference is that stones are derived by cutting rocks into smaller pieces. Superficially two stones might appear similar, but all stones are different from one another owing to their properties. All rocks are classified into four broad categories depending on their mineral and chemical composition, texture, and permeability. The four categories are Igneous, sedimentary, metamorphic and man-made rocks. 1. Igneous rocks: These are formed because of cooling down of magma or lava released from the volcanic eruptions. The magma or lava is formed by the melting of rocks present in the mantle of the Earth or its crust. The process of melting is initiated by a rise in temperature, lowering of pressure or changes in the composition. If the lava cools down under the surface of the Earth, it leads to the formation of Plutonic or Intrusive stones. If the lava cools down on the surface of the Earth, Volcanic or Extrusive stones are formed. 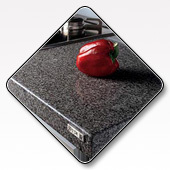 Granite is an example of plutonic stones whereas Pumice is an example of volcanic stones. 2. Sedimentary rocks: The rocks of this type are formed through the processes of decomposition, compaction and cementation of organic matter, chemical precipitates or clastic sediments, within the water bodies or on the Earth's surface. Generally such rocks are found at or near the Earth's surface. These rocks can be further classified into three sub-types viz. Mud rock, Sandstones and carbonate rocks. Of the total sedimentary stones present on the Earth, Mud rocks have the largest proportion i.e. 65%. 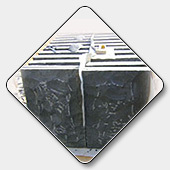 Mud stone, shale and silt fall under this category. Sandstones constitute 20-25% of all sedimentary rocks. 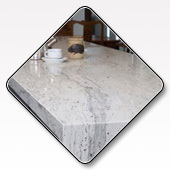 Carbonate rocks such as Limestone and Dolostone constitute 10-15 % of all sedimentary rocks. 3. Metamorphic rocks: These rocks are formed by the metamorphosis of existing sedimentary, igneous or metamorphic rocks. When the original rock known as Protolith is acted upon by heat(high temperatures of 150 to 200°C) and pressure (of the range of 1500 bars), it undergoes tremendous changes in its chemical and/or physical properties. 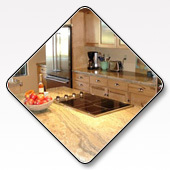 Natural stones such as Marble, Slate, Serpentine, etc. are some common examples of metamorphic rocks. 4. 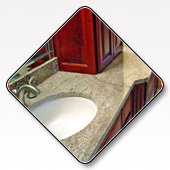 Man-made rocks: Man-made or Anthropic rocks are manufactured through human intervention. 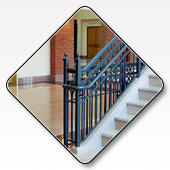 They are generally produced from mixtures containing resin or cement. 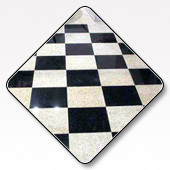 Terrazzo, Conglomerates or Agglomerates, and Faux or Cultured Marble are some common man-made rocks. 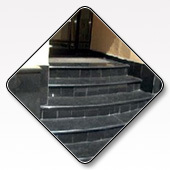 Terrazzo is manufactured by implanting Marble and Granite chips in cement. 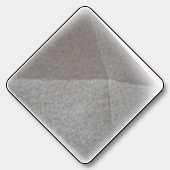 Conglomerates or agglomerates are manufactured by implanting marble chips in colored resin. 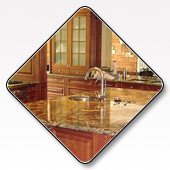 Faux or Cultured Marbles are manufactured by mixing resins with paints or painting resins with paints to produce stones that look similar to marble.